I have never considered myself to be musically talented or in tune with sounds. I refrain from singing most of the time, even in the shower. This is the way I have been for my entire life. What I have never considered, though, is how inextricably my life is intertwined with music and sound. I am a Hindu and acoustic worship is how I connect to my religion. Singing and chanting devotional hymns is an intuitive aspect of my life that I did not start reflecting upon these practices until I started college. I was inspired to question my relationship with Hinduism by the Hindu Student Association chaplain, who spoke to us during puja about the importance of chanting in our religious experience. Her statement prompted me to delve into how I participated in the sound and music of Hinduism. I realized that the ideal “spaces” for my acoustic worship practices were the shower and in bed right before going to sleep. Why are these “spaces” ideal for my acoustic worship, and why is acoustic worship so fundamental to Hinduism? Prompted by these personal inquiries, this research project will investigate the prevalence of sound and music in Hindu theology and ritual practices. When thinking of Hinduism, one thinks of visual worship in the form of the veneration of the idol infused with a divine essence (Murti). However, Hinduism is made up of two forms of worship: visual veneration of the Murti and acoustic veneration of Nada, a divine resonant sound (Beck, 1993, 81), and Vak, sacred speech derived from ancient scripture that also communicates the language of nature (Beck, 1993, 25). The volume Sound and Communication: An Aesthetic Cultural History of Sanskrit Hinduism describes sound as “the most ethereal object of sensory perception,” where hearing and acoustics are so subtle that they blur into the realm of supernatural (Moebus, Wilke, 2011, 36). All sounds are considered divine because they are all derived from the same sacred source, Om, which is viewed as the “divine seed sound” or “root mantra” (Coward, Goa, 2004, 2). Every sound heard symbolizes the universe (Moebus, Wilke, 2011, 65) and links the internal vibrations of the devotee to those of the divine. Acoustic worship in Hinduism is supported in ancient scriptures, specifically in the fundamental Rig-Veda (an ancient Hindu scripture). This emphasis on sound in Hinduism has yielded “acoustic piety,” which is divided into two different acts: the chanting of mantras and the performance of holy text, mythological epics, or devotional poetry through music. It is evident from Hindu scriptures that sound and music play significant roles in Hindu theology and ritual acts, but it is not clear what this means for the average Hindu. My research will draw conclusions to the following questions: What is the relationship between a higher spiritual being and sound in Hinduism? What is the importance of music in Hindu rituals and in relation to theology? What philosophy is behind the prevalence of mantras and music in Hinduism? What is the purpose of mantras in Hinduism? Using a literature review, I will investigate these fundamental research questions and synthesize the information found. Simultaneously, I will put the information into context by analyzing and connecting it to my Hindu experience. The blog post will sequentially look at evidences of music and sound in relation to Hindu mythology; the practice of mantra; the practice of Nada-Yoga; devotional Hindu music; and finally, the implications of this information for regular practicing Hindus. The origins of elements of Indian classical music and the reverence of sound are directly connected to Hindu mythology, being creations of the deities themselves. Brahma, the creator deity, is said to have made the first musical instrument, the drum (Strickland, 1931, 331). Drums are a crucial instrument of Hindu devotional music; they set a rhythm for everyone to follow during communal musical worship and give off a beat that makes one feel the music within. Vishnu, the sustainer deity, always holds the conch-shell horn in his hand, from which he discovered the seed-sound of all music, Om. Om is considered the basis of all divine sound and is characterized as the “sacred key-note of the cosmos” (Strickland, 1931, 331). The conch shell is blown at the beginning of longer devotional services or songs, in order to summon the divine. It creates resonating sound and vibrations that reverberate throughout the space of worship. Krishna, one of the most popular Hindu deities, is credited as the creator of the flute. He is known in Hindu mythology for his enchanting flute music, through which he “exerted a mysterious influence over man and beast” (Strickland, 1931, 333). Flute, while usually employed in during Hindu service, is popular in recorded devotional music. By playing these instruments during devotional practices, Hindus consciously honor the deities. Sakta-Tantra is the tradition of goddess worship in Hinduism that is strongly linked to the power of language and sacred sound (Beck, 1993, 121). Language is linked to sacred sound in Hinduism because every chant or song is made up of precise syllables that impart a specific sonic energy. Saraswati is viewed as the goddess of poetry, language, and music who possesses a body made up of the alphabet. She can be worshipped through recitation of holy texts that are made up of this alphabet (Moebus, Wilke, 2011, 279). The principle of vak (sacred speech) is often represented in the Vedas as Vak, the goddess of speech (Beck, 1993, 28), or as the goddess of language, Vagdevi who is “present in everything and contains everything” (Moebus, Wilke, 2011, 287). 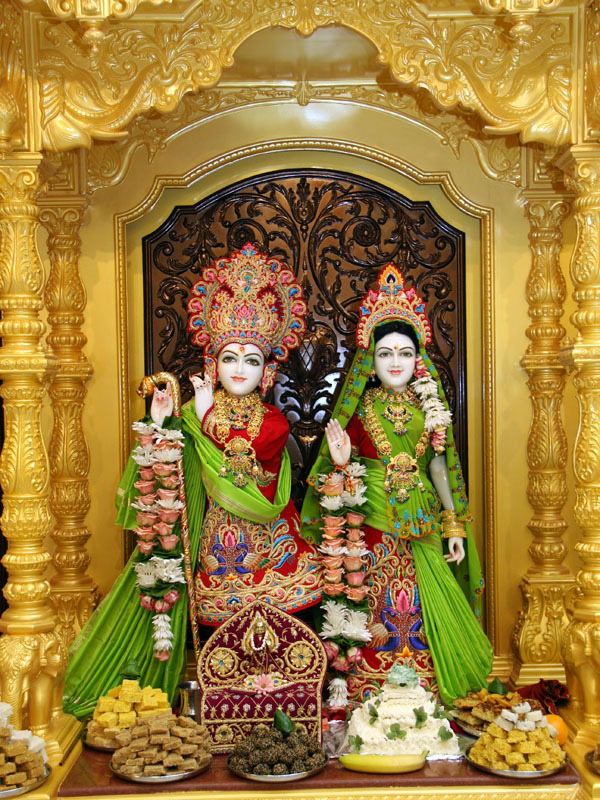 These two deities are considered incarnations of Saraswati. Hindus are instructed to pray to Saraswati to receive good grades or knowledge and she is always portrayed as playing the guitar-like sitar, but her role as the goddess of language is not regularly emphasized. There have been hymns and devotional poetry written specifically to honor this goddess of language and sacred speech, demonstrating that sound and language are not only used in worship, but are also worshipped as a deity. In order to honor the various deities, Hindus engage in different sonic and musical practices. One such practice, mantra, is the basis of every Hindu’s religious practice. The simplified definition of mantra is a repeated chant focused on correct pronunciation of each word with intentions akin to that of a prayer. In his article, “The Indian Mantra,” Jan Gonda attempts to capture the more complex definition of mantra. He concludes that mantra is made up of words believed to be of divine origin that are spoken with pure intentions in order to evoke a divine presence and to forge a connection with the essence of divinity present in the mantra (Gonda, 1963, 255). In their text, Mantra: Hearing the Divine in India and America, Coward and Goa describe the chanting of mantras as a purification ritual for the devotee, until one’s life is in harmony with divine power and its sound-vibrations (Coward, Goa, 2004, 5). A tenet of acoustic Hinduism states that the sound produced when a word is pronounced is eternal and represents the eternality of the cosmos (Gonda, 1963, 272). This concept of eternality is why sound is sacred in Hinduism. Therefore, the power of mantras lies not in their direct meaning, but in the power of the sounds produced when the mantras are pronounced (Beck, 1993, 31). Repeating mantras correctly produces sacred sound-vibrations that resonate with the cakras, or spiritual centers, of the body to effect internal change (Simms, 1993, 70). The Veda is made up of sruti, the divine word that “came vibrating out of the Infinite to the inner audience of man” (Coward, Goa, 2004, 13). These divine sound-vibrations are what give mantras the power to express the power of truth and order at the center of the Vedic universe (Coward, Goa, 2004, 12) and help the devotee “see” transcendent truth of the cosmic and human orders. The most important part of mantra is the emphasis on participation and a performative nature. One participates in mantra not by understanding the semantics of it, but by physically hearing and reciting it (Coward, Goa, 2004, 13). In religious education, young Hindus are taught the nuanced pronunciation of every syllable of a mantra, but are often not taught the meaning of the mantra until many years later. The emphasis is always on chanting the mantra with vigor and positive intentions. Hindus often use mantras as prescriptions for everyday situations, such as success on an exam or safety during travels, making mantras an important part of daily ritual acts. While the “prescription” use of mantra is what is taught to most Hindus initially, mantras are considered alternate forms of deities, with God’s creative power being embedded in mantra (Gonda, 1963, 2879-280). Each deity has its own bhija-mantra, or seed sound that represents the essence of the deity’s divine power (Gonda, 1963, 281). In this way, mantras serve as the deity’s “sound-body” (Coward, Goa, 2004, 27) and as a way for the devotee to connect directly with the divine. Since each syllable of a mantra carries careful intention and power, mantras open up a clear channel of communication with God. When Hindus want to establish a connection with a certain deity, they chant mantras containing the deity’s bhija-mantra or just the bhija-mantra over and over to summon the divine’s presence. While most Hindus only use mantras to attain short-term goals as stated above, Hindu theology supports the idea that mantras are intended for transformative purposes. Repeating a mantra is to establish good karma and intense repetition is said to release one from the infinite cycle of rebirth so that the devotee can achieve moksha and become one with the divine (Coward, Goa, 2004, 9-12). In order to attain moksha, Hindus practice Nada-Yoga (sound yoga), which incorporates mantras and meditation upon the sound-vibrations produced. The Nada-Bindu Upanishad, which is a text attached to the Rig-Veda, describes the auditory ascension of “higher, divine hearing” that can result from certain sound yoga exercises (Beck, 1993, 93). An important aspect of sound yoga is litany, where a number of different names of one deity are chanted in order to invoke the deity’s presence (Moebus, Wilke, 2011, 92). Litany is a significant part of the celebration of Hindu festivals centered around a specific deity. Hindus participate in these long ceremonies to show their devotion to the deity and ask for good fortune, good health, knowledge, etc. Another significant aspect of sonic yoga is the repetition of Om. This syllable is divided into three sounds, each of which is correlated with various states of consciousness, that merge into a sacred soundlessness (Simms, 1993, 70). The chanting of Om is the most familiar part of any Hindu’s acoustic practice. It helps to focus one’s mind on the devotional practice ahead and brings a sense of inner peace with each deep, drawn-out repetition. There are different types of sonic yoga for different purposes. Bhajans, religious songs, are performed as a more emotional sound yoga. These songs are performed as communal worship during a Hindu service, but are also often listened to by Hindus in their homes. To establish an intense connection with god, one repeats the name of the deity (Gonda, 1963, 253). Those seeking meditative contemplation repeat monosyllabic sounds (like Om) that produce sacred sound-vibrations that will induce this state (Moebus, Wilke, 2011, 95). By meditating on a specific bhija-mantra, the divine power of the deity as derived from the sound energy of the mantra is transferred into the devotee through the sacred-vibration that is unique to each deity (Moebus, Wilke, 2011, 739). Hindus have several choices regarding the types of Nada-Yoga they want to incorporate into their practice. The point of it is to focus on the internal vibrations caused by the sound acts; sound is at the top of the hierarchy of the senses in Hinduism because it is the path along which one is able to gain knowledge of the universe. While this significance of Nada-Yoga practices is not emphasized during the religious education of most Hindus, acts of sound yoga create an almost intuitive, personal connection with the divine. What is the significance of devotional Hindu music? While chanting mantra and practicing Nada-Yoga are more independent ways to interact with the divine, music is a more engaging, communal devotional practice. The earliest form of Hindu musical expression was the singing of Sama-Veda hymns (Beck, 1948, 35). They are believed to sonically represent fundamental divine forces that give order to the universe (Moebus, Wilke, 2004, 429). Sama-gana, the music of the Sama-Veda, is characterized by the insertion of nonsensical words and syllables into verses for lyrical effect along with long, eerie notes intended to summon the gods (Beck, 1948, 53). Sama-Veda music is incorporated into more formal ritual acts, such as for Hindu festivals or occasions (i.e. weddings, funerals). The earliest form of Indian classical music, Gandharva Sangita, was a gift from the gods and is perceived as the same type of music enjoyed by the deities in heaven (Beck, 1948, 86). It is associated strongly with puja, temple ritual acts that emphasize a personal connection with the deity. Gandharva Sangita has evolved into Bhakti Sangit, which is the devotional music most common in temples today. It is characterized as devotional and personal, emphasizing a two-sided relationship between the devotee and the deity (Beck, 1948, 146). During the performance of Bhakti Sangit music during religious service, the mood is upbeat with lots of energy. Instruments like drums, cymbals, and the harmonium are played by members of the temple and everyone sings along in a call and response fashion. One becomes completely immersed in the beautiful instrumental music and the performative, participatory aspect of Bhakti Sangit keeps one engaged. The offering of bhakti music consisting of the names, attributes, and praise for the deity is an important element of puja (Beck, 1948, 106) and is a simple way for Hindus to demonstrate their devotion. Hindu music emphasizes the benefits of the participatory aspects of religion. Those who participate in the delivery of worship music play a dual-role of receiving a religious message and delivering one to the deity (Moebus, Wilke, 2004, 79). Participants receive a religious message because the performance of the hymns produces an infinite series of vibrations that brings on a sensory experience of Nada-Brahman (Moebus, Wilke, 2004, 37). In ancient texts describing the guidelines of musical worship, music was described as “essential” for invoking the divine during ritual (Beck, 1948, 78). Many sects of Hinduism consider music to embody sacred-sound (Nada), while also being an alternative form of God (Moebus, Wilke, 2011, 840-841). Since Nada is considered the essence of the highest divine being in Hinduism, music also carries this divine essence. When Hindus perform or listen to devotional music, they do so not because they are knowledgeable about the principles of sacred-sound vibrations, but because the music is a way for them to express their love for the divine. Devotional music is a central part of every Hindu’s practice because it produces an emotional connection with the deity that mantra worship cannot evoke. 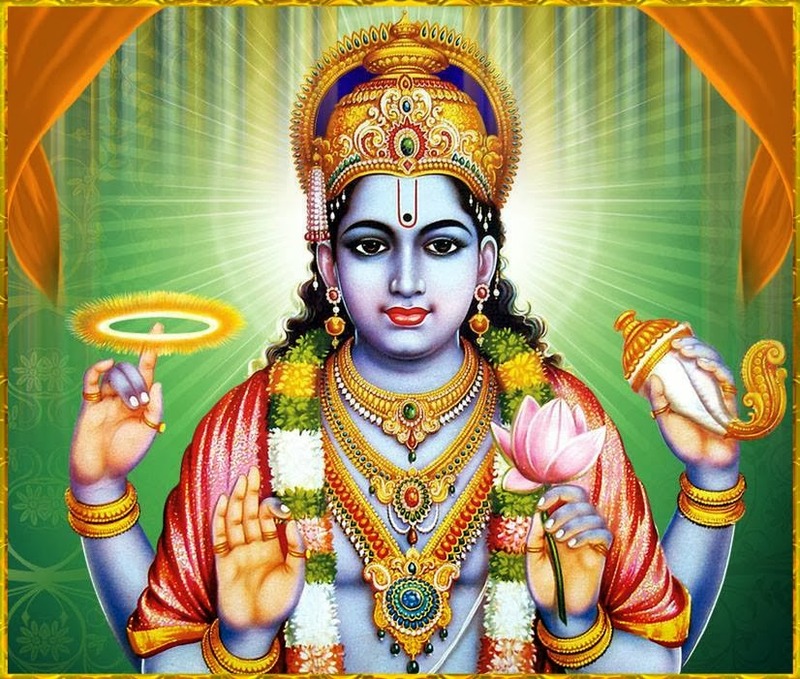 The connections I am able to draw between my Hindu beliefs and practices and the principles of sonic significance in Hinduism has enlightened me in regards to my faith. Taught my Hindu beliefs and how to practice my religion at a young age, I have taken for granted my religion without questioning it or exploring the significance of how I practice it. Now that I understand the significance of sounds in Hindu practice, I understand why I practice Hinduism the way I do. When I chant mantras or sing devotional songs, I will do so in two “spaces”: the shower or my bed right before I go to sleep. Since a young age, I have “prayed” in the shower because it was a time-efficient way to devote part of my day to Hinduism. However, I also enjoy chanting in the shower because of the acoustic benefits of the space. The shower creates resonating sound and echoes that make the vibrations of the mantras I chant much more powerful and rejuvenating for me. Just as people sing in the shower because it makes their voice sound better, chanting mantras or singing Hindu music in the shower resonates more with me. I also like to repeat mantras silently in my head before I go to sleep. The repetition of the same precise syllables yields a calming effect and removes my mental clutter that has built up throughout the day. Before embarking upon this research project, I had thought that my personal Hindu practice was solely based upon time-efficiency and personal quirks. In actuality, the significance of sound-vibrations and repetition as a means of attaining internal harmony with the external reality and an eventual spiritual release speaks for the way I conduct my practice. The importance of sound in Hinduism has silently guided my interpretation of my faith and will continue to do so. Hinduism is a participatory, performative religion. One cannot simply read texts or sit in front of the altar and expect to feel a connection with the divine. Hindus need to interact with their faith sonically to truly experience it. I cannot imagine feeling any connection to a higher spiritual being without actively performing acoustic worship acts. The mantras I chant and the devotional music I sing are the reasons I am able to engage with Hinduism. Now that I have investigated the significance of sound in Hindu theology and the more detailed aspects of acoustic worship, my worship feels more purposeful and informed. Chanting mantras and singing bhajan songs after this investigation, I focus on the actual resonating vibrations produced and each separate syllabic pronunciation. Before undergoing this research process, I did not understand why Hindu acoustic practices consisted of such drawn-out syllables, nonsensical syllables, and such precise rhythms. Now I realize that these elements of acoustic practice are intended to invoke the transformative influence of sacred sound-vibrations, not just the divine presence. This knowledge has prompted me to focus more on the sound-vibrations produced when I practice, which has given me stronger feelings of a connection with the divine. I strongly believe that having more knowledge about the theories behind acoustic beliefs and practices would benefit every Hindu’s relationship with their faith. As emphasized by many texts analyzing the sonic aspects of Hinduism, the most important part of mantra chanting and devotional music practice is active pronunciation and focus on the sounds produced. This is emphasized in Hindu religious education, while the actual semantic meaning of what is being performed is deemphasized; however, it is never explained to Hindus why this is. While being a performer and participating directly in acoustic Hinduism automatically produces an intimate connection with the divine, not understanding the theology of sacred sound-vibrations or the divine essence within the syllables of mantra devalues the practices for Hindus who have taken them for granted. I highly encourage Hindus to investigate the “why” behind our acoustic worship practices; doing so enhances the worship acts and brings about a more intimate, thoughtful connection with the divine. Beck, Guy L. 1948. Sonic liturgy: Ritual and Music in Hindu Tradition. Columbia: University of South Carolina Press. Beck, Guy L. 1993. Sonic Theology: Hinduism and Sacred Sound. Columbia, S.C.: University of South Carolina Press. Coward, Harold G., and David J. Goa. 2004. Mantra: Hearing the Divine in India and America. 2nd ed. New York: Columbia University Press. Gonda, J. 1963. “The Indian Mantra.” Oriens. 16 (Dec. 31): 244-97. Moebus, Oliver, and Annette Wilke. 2011. Sound and Communication: An Aesthetic Cultural History of Sanskrit Hinduism. eds. Gustavo Benavides, Kocku von Stuckrad and Winnifred Fallers Sullivan. Vol. 41. Berlin, Germany: Walter de Gruyter GmbH & Co.
Simms, Robert. 1993. “Aspects of Cosmological Symbolism in Hindusthani Musical Forms.” Asian Music 24(1) (Autumn, 1992 – Winter): 67-89. Strickland, Lily. 1931. “The Mythological Background of Hindu Music.” The Musical Quarterly 17 (3) (Jul. ): 330-40.